A high tech vegan patty branded the UK's answer to the Beyond Burger is launching in Ireland. Moving Mountains B12 Burger - which is famous for 'bleeding' like meat - will be available from Dublin restaurant ThunderRoad Café from February 7. The patty's manufacturers believe it is 'set to be the most impactful food invention of the century'. It has taken a team of UK scientists, chefs and farmers more than three years in a lab and over 500 test-kitchen recipes to create the final product. 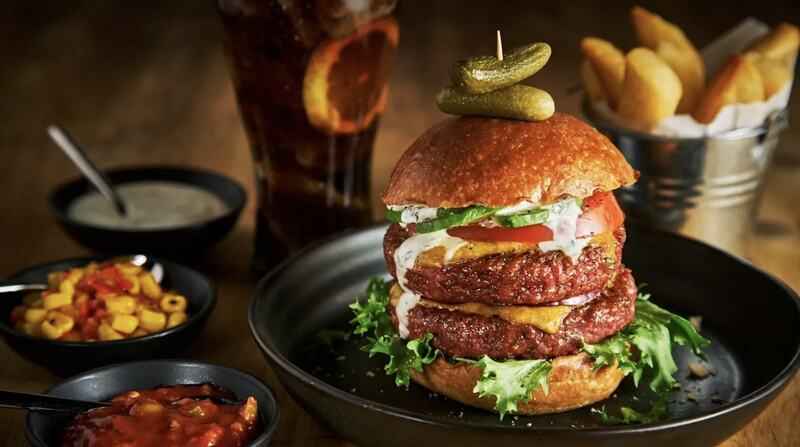 "Continuing to expand into new countries outside of the United Kingdom is part of the brand’s ongoing mission to make truly inspiring flexitarian dining available to everyone throughout Europe," a spokesperson said in a statement sent to Plant Based News. "Without any compromise on taste, the Moving Mountains® Burger provides a viable alternative for flexitarians, vegans, vegetarians and meat-eaters alike. "The future of eating well for health and for the planet, Moving Mountains’ plant-based meat requires less land, less water and produces less greenhouse emissions than animal meat. It looks, smells and tastes as indulgent as regular meat so it can be enjoyed 100 percent guilt-free by Irish diners."